Is it only me that looking around yourself to look for Mt. Fuji when you are at the area where you seem to see Mt. Fuji? And if you are lucky enough to see Mt. 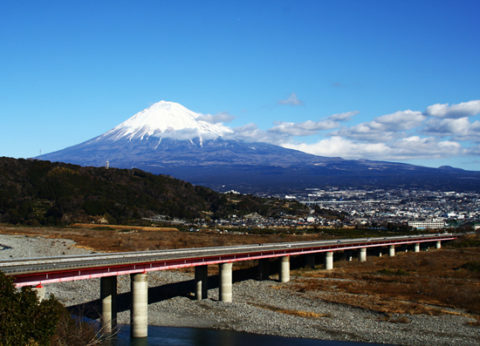 Fuji, you may think of your aspiration for the new year. Is it because of the massiveness of it makes you calm? 2013, let’s start the year with turning over a new leaf! Photo: Mt. Fuji from Fujikawa service area of Tomei highway.